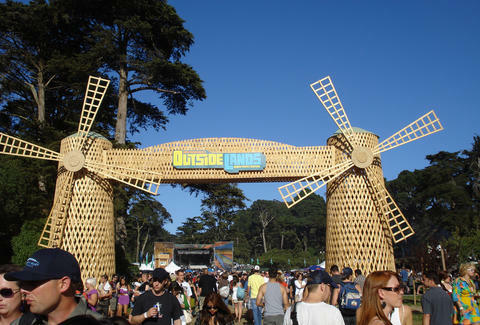 Get ready to salivate all over Golden Gate Park, because Outside Lands Festival just announced its enormous 2015 food and drink lineup, featuring 78 restaurants totaling over 200 menu options, as well as 37 wineries and 32 breweries. Along with returning favorites like "The Ringmaster" donut cheeseburger from Straw or Porky Fries from the Bacon Bacon food truck, you can plan to chow down on over a dozen new food and drink options appearing at the festival like meatball subs, Mexican chorizo dogs, and freaking ice cream tacos, among others. Tony Merevick is Cities News Editor at Thrillist and his stomach is growling like crazy right now. Thanks, press release. Send news tips to news@thrillist.com and follow him on Twitter @tonymerevick.